I'm trying something new here! 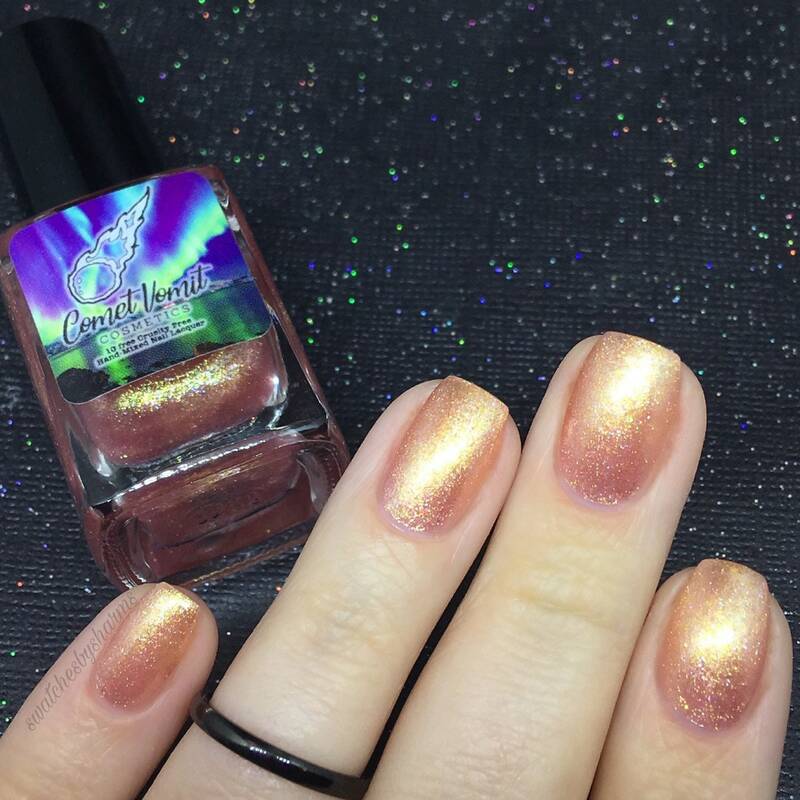 This polish consists of two separate polishes: Comet- a champagney, peachy micro- flakie shimmer... and Cupid- a rose goldish pink micro- flake shimmer. I've layered the two polishes in the bottle a bit at a time for each color so that they appear somewhat separate in the bottles. 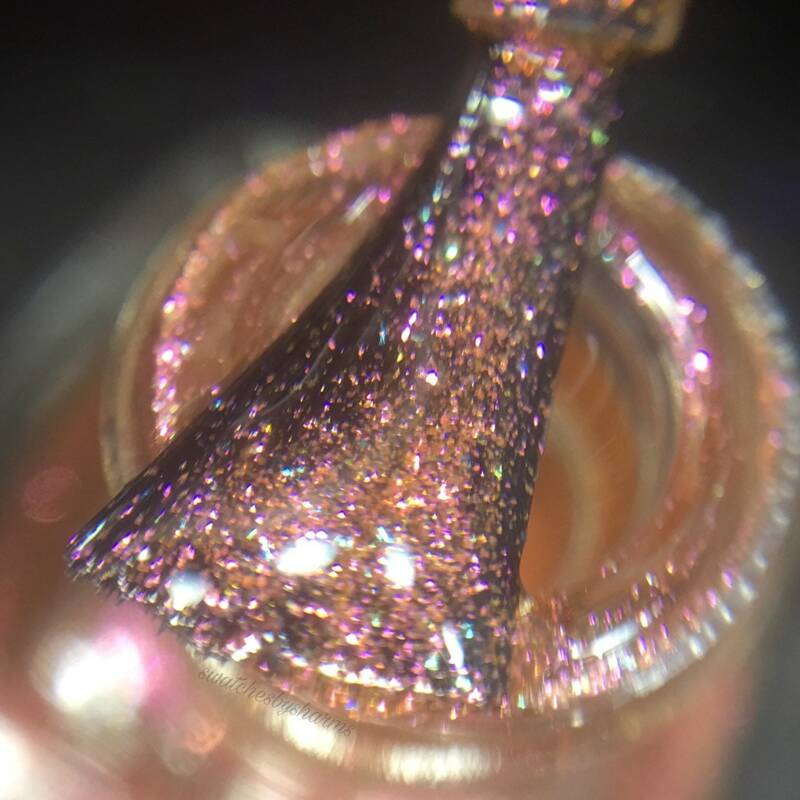 When your brush dips into the bottle, both polishes mix together in the center and are very complimentary to each other to create this fun peachy pink shimmer. 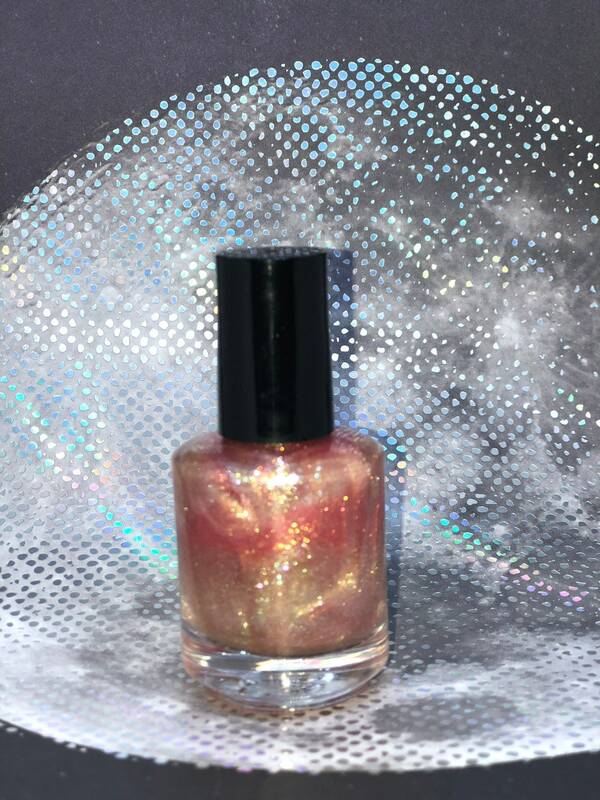 This polish will mix and settle some in transit, but should appear at least somewhat varied upon arrival (although I can't guarantee this, I've sent a couple of test bottles that showed up still looking decently layered)! 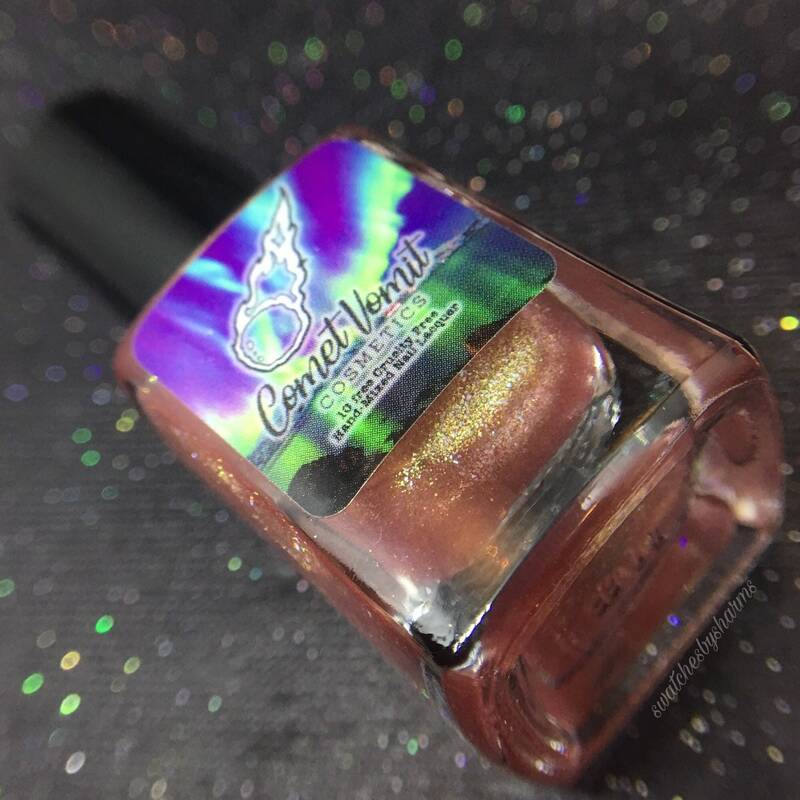 My polishes are 10 free & cruelty free meaning they are formulated without: Formaldehyde, toluene, DBP, camphor, formaldehyde resin, xylene, ethyl tosylamide, parabens, phthalates, fragrances. 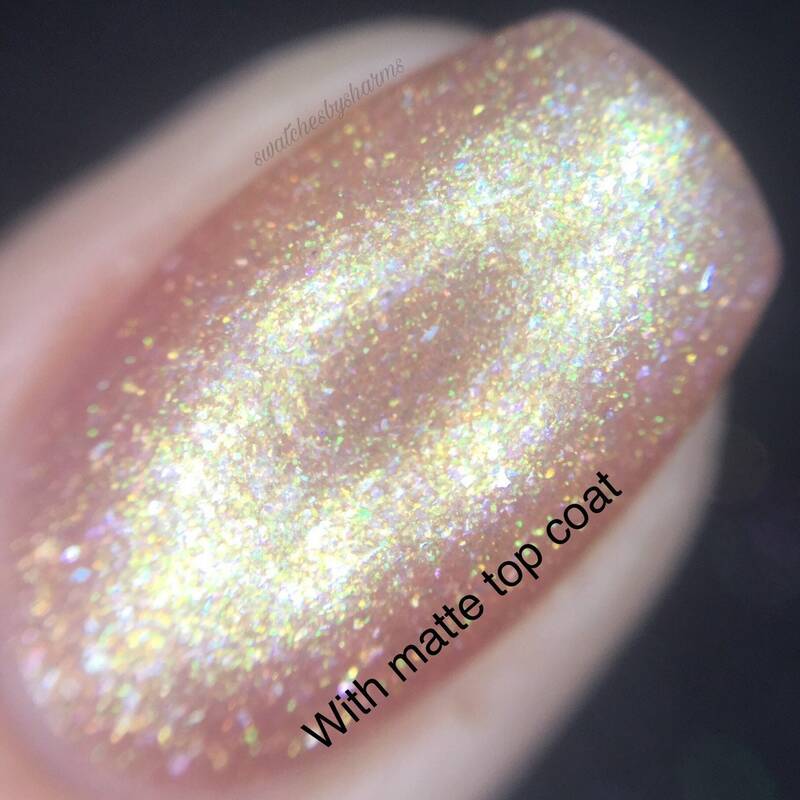 They generally apply best with 2-3 thin layers topped with a fast dry top coat. 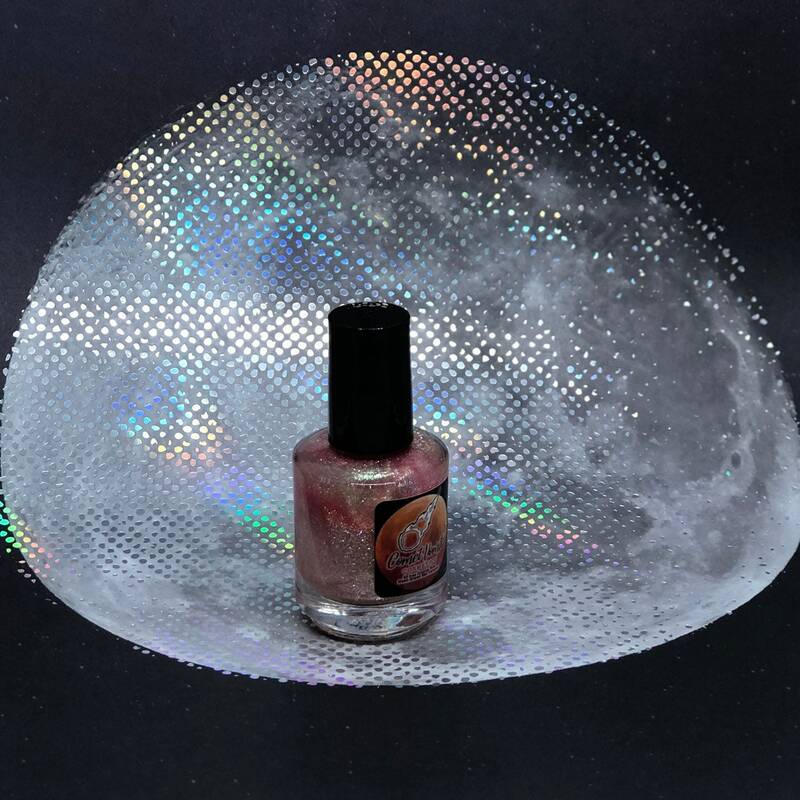 I do my best to accurately represent the colors of my polishes in their photos, however, there may be some differences in the items dues to screen brightness etc. Photos are never altered or filtered to change the colors unless it is needed to more accurately showcase harder to photograph colors. 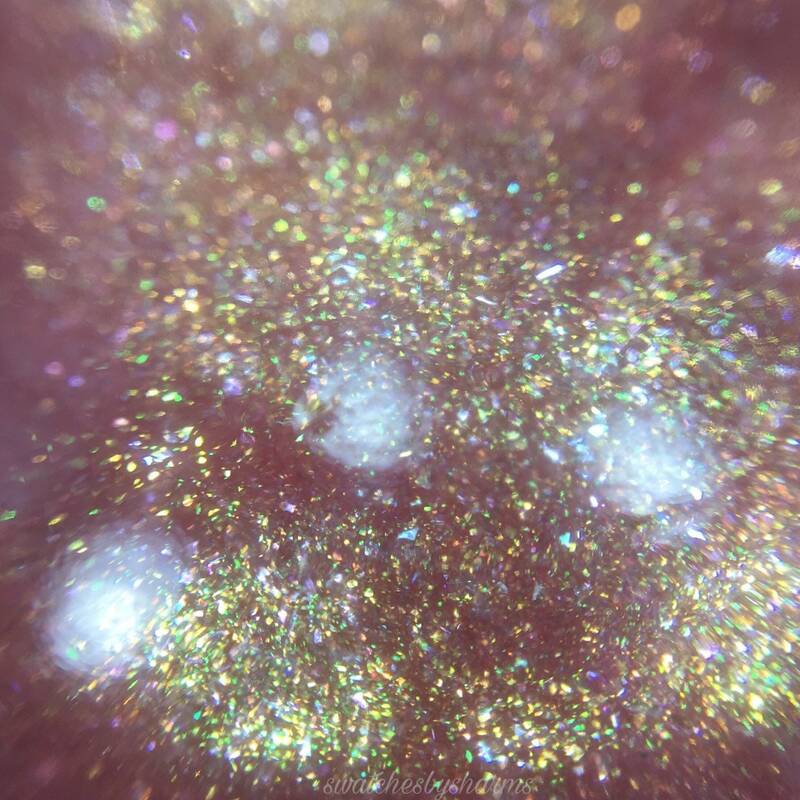 Every bottle is carefully hand-mixed and the best effort is given to consistency of formulas, though some color and distribution of glitters may vary slightly from bottle to bottle. Shake well to help with any settling that may occur during shipping. 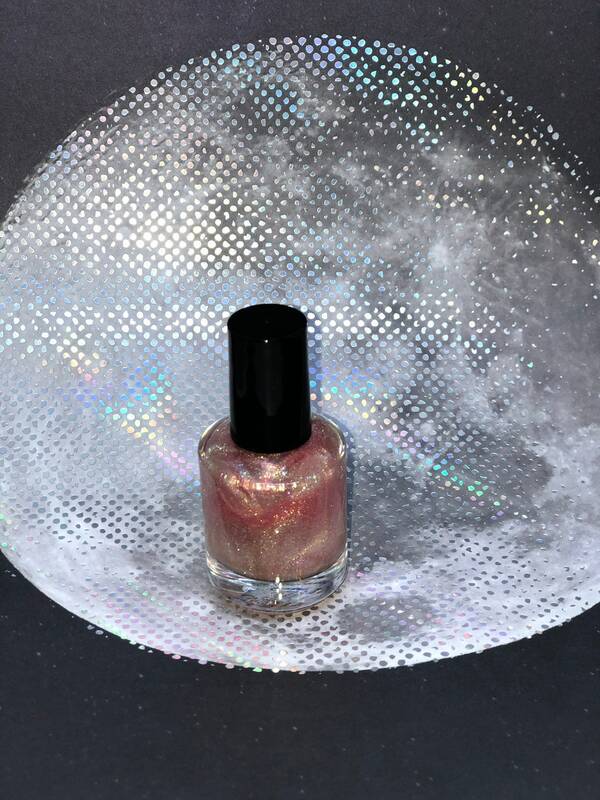 For an easy way to remove glitter heavy polishes try googling the "foil method". I accept major credit cards and paypal! Payment is due at time of checkout. If you pay with an e-check via paypal, funds must clear before Etsy will allow me to print your shipping label. Sometimes this takes a couple of days, but it can take up to a week. Current turn around time is listed generally at the top of my page and in the shipping information on the listings. Turn around time depends on current order volume and how busy my day job is. All items are hand made by me. I drop my packages directly at the main post office and my packages usually only take 2-4 days to arrive to you within the US. Please note that shipping to other countries can take 1 to as long as 3 weeks due to international shipping time/customs etc. These things are out of my hands, but your tracking number will keep you updated! I HATE that I currently have to charge so much for shipping internationally. Please note that I am actually charging you several dollars LESS than what I actually pay for the labels only because I HATE having to make you pay so much and want to give you a break. USPS raised rates this year and I do realize that the shipping costs more than the bottle of polish, but please realize that I'm paying even more for that label. Let me know if you need a faster shipping method and we can work something out. I would like everyone to be happy with their purchases. If your item arrives damaged, PLEASE LET ME KNOW. Take a photo of the damage and send it to me. I will replace your item. I have only ever had 2-3 items reported damaged before in all my years of doing this, thankfully. If you are unhappy with your item for any reason, get in contact with me! I want you to be happy! Every polish is hand-mixed and there can be inconsistencies. Mistakes also totally happen. We're all human. Never feel shy or afraid to contact me with a problem. You may receive email communications from me once in a blue moon (very rarely, I promise I don't have time to spam anyone... maybe 1-4x a year absolute max) after your purchase. These communications will only be to alert you of large sales. You can opt out from any future emails by clicking "unsubscribe" a the bottom at any time. 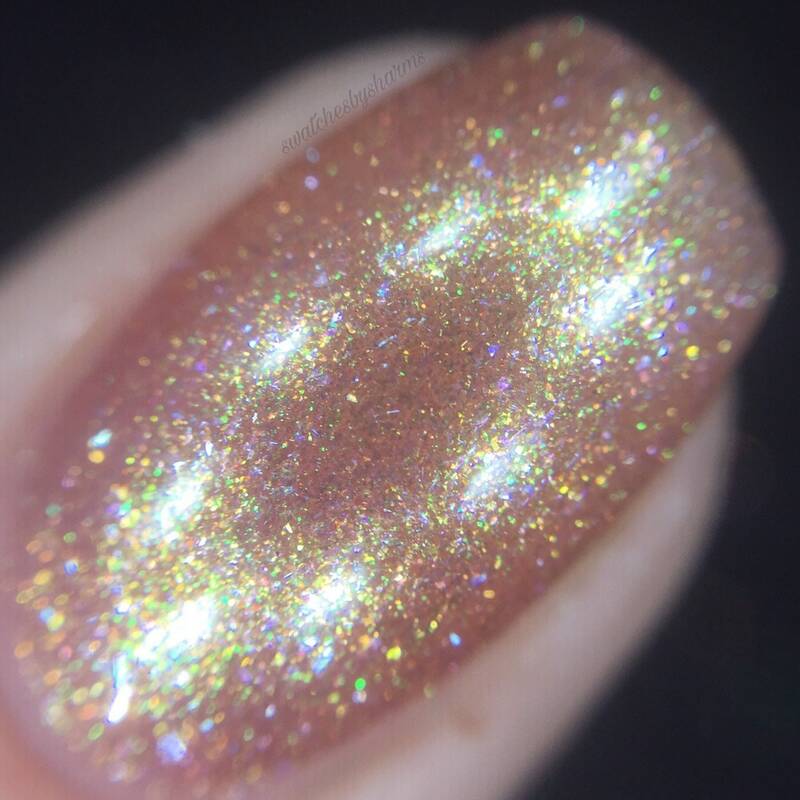 This polish is gorgeous, especially over another polish (on its own it's pretty sheer). It looks just like the photo.